The Professional School of Psychology has identified three categories of faculty: (1) sustaining, (2) governing, and (3) adjunct. Following is a description of each category. We offer brief descriptions of each faculty member who have been appointed to the sustaining and governing faculty, as well as partial list of those appointed as adjunct faculty. Because of their leadership position at PSP (or another graduate institution) or their very senior status in the profession, these faculty members not only teach at PSP—they also play a major role in sustaining the mission and academic foundation and perspectives of PSP. They are identified as “sustaining” core faculty because it is through their own exemplification as teachers, scholars, researchers and leaders that they help PSP to sustain its distinctive mission, vision and values. They are also sustaining PSP’s mission, vision and values through their active leadership at PSP or their wise counsel to those who are in formal leadership roles as PSP administrators or board members. Dr.William Bergquist serves as President and Chief Executive Officer of The Professional School of Psychology. He is an internationally-known coach, consultant, trainer and educator. 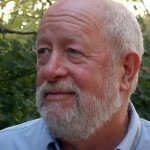 As author of more than 50 books and 100 articles, His publications range from the personal transitions of men and women during the second half of life and the struggles of men and women in recovering from strokes, to the experiences of freedom among the men and women of Eastern Europe following the collapse of the Soviet Union. His book, The Postmodern Organization, has been identified as one of the 50 classics in organizational theory. In Our Fifties was featured on Good Morning America and in several metropolitan newspapers. The Vitality of Senior Faculty received the annual research award in 1998 from the American Educational Research Association. The Four Cultures of the Academy, Engaging the Six Cultures of the Academy, Designing Undergraduate Education (with Gould and Greenberg), and A Handbook for Faculty Development (three volumes) (with Steven Phillips) have been widely acknowledged and cited as seminal publications in the field of higher education. William Bergquist has served as a consultant, coach and/or trainer to leaders in more than 1,000 corporations, government agencies, human service agencies, college and universities, and churches over the past 45 years. Having consulted, trained and coached in organizations throughout North America, Europe, Asia and Africa, Dr. Bergquist has written extensively about consulting, coaching and training strategies in more than two dozen publications, and co-founded the International Journal of Coaching in Organizations and International Consortium for Coaching in Organizations, More recently, Bergquist has co-founded an on-line resource bank, the Library of Professional Coaching which currently contains more than 900 documents and is being accessed by professional coaches in 50 countries. Dr. Kathleen Ayers serves as Chief Operating Officer at the Professional School of Psychology. She is a licensed psychologist in California. She has worked in the mental health field since 1991, with individuals of all ages and groups of adults. She received her doctorate at The Professional School of Psychology in Sacramento, California. Prior to that, she received an M.A. in Clinical Psychology from the University of Dayton, in Ohio and an M.S. in Medical Psychology from the Uniformed Services University of the Health Sciences, in Bethesda, Maryland. Currently living in Texas, Dr. Ayers is focusing now on helping adults with chronic pain and other chronic physical and mental conditions. As a therapist, Dr. Ayers’ orientation is cognitive-behavioural. She works with people who have chronic conditions, such as pain and physical conditions. She has personal experience in helping people cope with celiac disease and food allergies. While living in California, Dr. Ayers worked in a physician’s office in Marin County and had a private practice. She often focused on work with clients who have food allergies and celiac disease, . Dr. Ronit Bisson serves as Chief Academic Officer at the Professional School of Psychology. Having been in private practice as a clinical psychologist in Israel for 20 years, with a specialty in psychodynamic groups psychotherapy, Ronit Bisson now lives in Barcelona, Spain where she continues to provide clinical services, while also lecturing at the Academic College of Arts and society in Israel. Dr. Gay Teurman serves as Chief Student Engagement Officer at The Professional School of Psychology. Providing clinical services for more than 20 years, Gay Teurman is a Licensed Marriage and Family Therapist with a doctorate in Clinical Psychology. Dr. Teurman has extensive experience working with nutritional deficits, chronic pain, families, individuals, and couples. Since being treated herself with neurofeedback to recover from a traumatic brain injury including post concussive syndrome, Gay Teurman has dedicated her study and career to neuropsychological work. 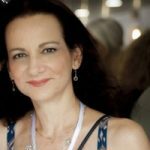 She uses neurophysiological knowledge integrated with cutting edge, advanced, state of the art neuropsychological qEEG brain mapping and neurofeedback to achieve healing for her patients. Louis Breger is an American psychologist, psychotherapist and scholar. 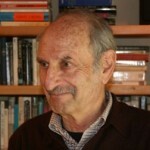 He is Emeritus Professor of Psychoanalytic Studies at the California Institute of Technology. In 1970 Breger became Professor of Psychoanalytic Studies in the Humanities and Social Sciences Division of the California Institute of Technology. He graduated from the Southern California Psychoanalytic Institute in 1979, where he became a Training and Supervising Analyst and was the recipient of the Franz Alexander Essay Award and the Distinguished Teaching Award. In 1990, he resigned from that institution and, with a group of colleagues, created the Institute of Contemporary Psychoanalysis (ICP) where he was the Founding President from 1990 to 1993. Dr. Breger has been both a practicing psychotherapist and a faculty member at several universities where he carried out research on dreams, reformulations of psychoanalytic theory, psychotherapy process and outcome, personality development, and the application of psychoanalysis to literature. 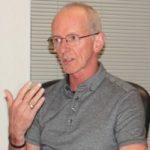 He has also published two biographies of Sigmund Freud and a study of psychotherapy based on the many patients he has seen over the last 50 years. His work on personality development – as found in his book From Instinct to Identity – is an integration of theory and research from child development, John Bowlby, Erik Erikson, Harry Stack Sullivan, Freud, Jean Piaget, primate studies, and research on hunter-gatherer societies. Linda Page is Founder and Former President of the Adler School of Professional Studies in Toronto, Canada, and from 1992 to 2006 led the local administration of the M.A. in Counseling Psychology degree granted by the Adler School of Professional Psychology in Chicago. She holds a Ph.D. from Princeton University and an M.A. in Counseling Psychology from Adler in Illinois, where she is a Licensed Clinical Professional Counselor. She taught social psychology, cognitive psychology, learning, motivation and emotion, and gender studies and was co-founder of the Gender and Ethnocultural Studies Center as a member of Adler’s core doctoral faculty from 1992 to 1998. Dr. Page was a psychotherapist in private practice from 1980 to 1995. 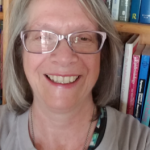 She chairs the Alliance of Psychotherapy Training Institutions, a group of educators who have proposed a curriculum for a minimum standard for regulation of psychotherapists in Ontario. In 1998, Dr. Page founded Adler International Learning (formerly Adler School of Professional Coaching) and served as its President until 2018. Adler’s Professional Coaching Program was the first in Canada to be certified by the International Coach Federation (ICF) and is the only ICF-certified program in the world based on Adlerian principles, which emphasize social justice and responsibility. With David Rock, Dr. Page co-authored Coaching with the Brain in Mind: Foundations for Practice (Wiley, August 2009). She has published papers and is in demand internationally to present on the theoretical foundations of coaching, brain-based competencies for psychosocial change agents, and the practical implications of a shift from a mechanistic to a systemic worldview. Jeannine Sandstrom has launched and led four national management development consultancies focusing on leadership emergencies, strategic plan implementation for merger and acquisition and emerging leader team development. She currently is President of CoachWorks. Dr. Sandstrom has also coached executive leaders at The Prudential, Fidelity Investments, Chase Bank, John Deere, NASA, Puget Sound Energy, ARCO, private brokerage organizations, Merrill Lynch, Oracle, Samson Resources and numerous entrepreneurial and not-for-profit organizations. Dr. Sandstrom has participated in Public Broadcasting Service (PBS) presentations, and has had featured articles in the Professional Mentor and Coach Journal, as well as The Wall Street Journal and Fortune Magazine. 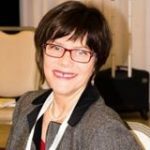 She is a founding contributor to the International Consortium for Coaching in Organizations; a founding editorial board member of the International Journal of Coaching in Organizations. Dr. Sandstrom has served on the (Dallas, TX) Mayor’s Task Force for International Development and on the boards of national professional and industry organizations, is an alumnus of LEADERSHIP DALLAS, and past president of the D/FW Chapter of International Association of Career Management Professionals. Mary Talaga is co-author of several best-selling books on psychopharmacology that are among the most widely-referenced in the field. Dr. Talaga’s publications include the Handbook of Clinical Psychopharmacology for Therapists (8 editions), Child and Adolescent Clinical Psychopharmacology Made Simple, and Consumer’s Guide to Psychiatric Drugs. These faculty members form the backbone of faculty governance at PSP. They are not only actively engaged as instructors at PSP, but also are actively engaged in the ongoing faculty governance of PSP, including admissions, formulation of academic policy, providing representation on the Academic Affairs Committee of the Board of Trustees, voting member of the Board of Trustees, and active representation on the Institutional Review Board of PSP. Richard Lim has worked with leaders and senior executives from multi-national companies like Microsoft, Coca Cola (Indonesia), JP Morgan, and SIA; international agencies like The Salvation Army, YMCA, Outward Bounds and World Vision; and numerous government organizations and community institutions. He is also an active contributor to the development of staff and research at the National University of Singapore, Nanyang Technological University, and BINUS. Richard has served as President of the Psychotherapy Association of Singapore. Dr. Simon Neo serves as the Director of Academic Review at The Professional School of Psychology (overseeing the Human Subject Review and Portfolio Review procedures at the school). ; Simon Neo is a professional psychologist with 18 years of expertise in counselling, social and human services, education services and training as well as community outreach. Currently, he has a private practice located at the Novena Medical Centre in Singapore and another in Bangkok, Thailand. Dr. Neo has served as the Vice-President of the Psychotherapy Association of Singapore. In addition to being an adjunct lecturer in public educational institutions such as Ngee Ann and Singapore Polytechnic, he also lectures in local and overseas private institutions. Simon has been invited to conduct leadership training at the Chulalongkorn University in Bangkok Dr. Neo is also been engaged to speak and provide training in such organizations as: Credit Swiss, UBS Bank, Morgan Stanley, Intel, IBM and the Republic Polytechnic. Dr. Varda Silberberg serves as Director of the Israeli programs at The Professional School of Psychology. Dr. Silverberg is the Chief Executive Offices of the Ziv Institute in Israel. She also is a, Senior Organizational consultant with extended experience in work with a highly diverse set of organizations. Holding a PhD degree in corporate ethics, Dr. Silverberg has built a strong reputation in the facilitation of organizational values clarification and mission-driven planning. She has unique experience in consulting to senior executives and top management teams in the areas of strategic planning and organization development. Dr. Silverberg is a former chairman of the Israeli Association for Organizational Development. 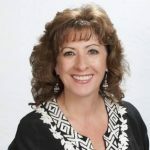 She is an experienced supervisor for organizational development consultants and has established a strong record in developing professional supervisors. Dr. Kevin Weitz serves as the Faculty Representative to the Board of Trustees at The Professional School of Psychology and is the principle architect of the school’s distinctive strategic planning process. Dr. Weitz specializes in helping leaders define and align their organization’s culture and day-to-day behaviors with business strategy to execute effectively. Recently, his work has focused on shaping behaviors to reduce “insider threats” to highly confidential company information and cybersecurity. Kevin Weitz has almost thirty years’ experience leading organizational transformation and change projects, with expertise in building leadership teams to drive change. He has global experience with multinational organizations in the US, Canada, Kazakhstan, Latin America and South Africa. Dr. Weitz has authored a Kindle e-book about organizational culture change entitled The House of Culture. Areas of specialization include: organization development, spiritual dimensions of psychological practice and multi-disciplinary studies of organizational dynamics. Areas of specialization include: professional development, organization development, public policy formulation, medical education. Areas of specialization include: psychopathology, psychodiagnostic assessment, and health psychology. Areas of specialization include career and mid-life transitions, conflict resolution and professional development. Areas of specialization include: psychoeducational, psychodiagnostic assessments, and therapy for children, teens, adults, couples and families. Areas of specialization include: cross-cultural psychology, psychological tests and measurements, interpersonal relationships.